Abstract. Anthropogenic disturbances to habitats influence the fitness of individual animals, the abundance of their populations, and the composition of their communities. Wetlands in particular are frequently degraded and destroyed, impacting the animals that inhabit these important ecosystems. The creation of wetlands during and following sand extraction processes is inevitable, and thus, sand quarries have the potential to support aquatic animals. 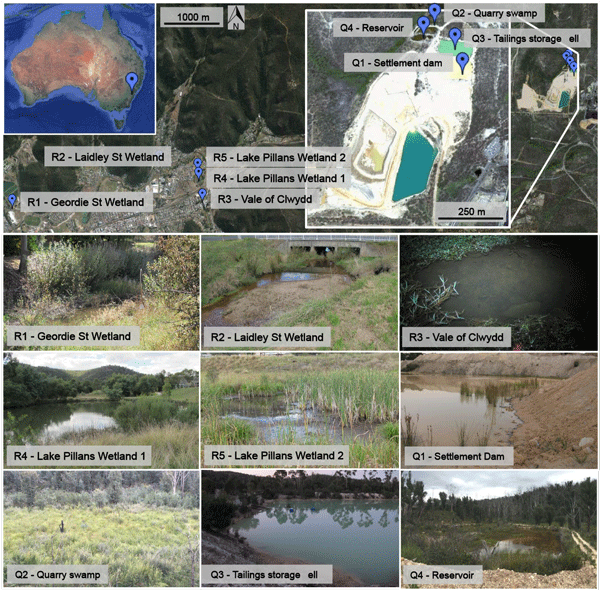 To determine how amphibians utilise these wetlands, I conducted nocturnal call surveys at wetlands within the Kables Sands quarry, New South Wales, Australia, and within surrounding reference wetlands, and quantified levels of developmental instability (DI) as a proxy for fitness. Whilst quarry and reference wetlands were largely similar in terms of environmental characteristics, quarry wetlands consistently harboured more amphibian species and individuals. Using unsigned asymmetry as a measure of DI, frogs from the quarry sites exhibited significantly lower levels of DI compared to reference wetlands, indicating that quarry wetlands may be comparatively higher quality. Levels of DI within quarry wetlands also compared favourably to data from healthy frog populations extracted from the literature. Further enhancing the suitability of quarry wetlands would require minimal effort, with potentially significant increases in local and regional biodiversity. Documenting species presence and quantifying individual fitness by measuring limb lengths is an economically and logistically feasible method to assess the health of quarry wetlands. 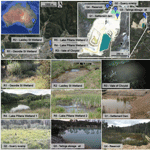 Overall, the methods outlined here provide a powerful, yet simple, tool to assess the overall health and suitability of quarry wetlands that could be easily adopted at quarries throughout the world. How to cite: Sievers, M.: Sand quarry wetlands provide high-quality habitat for native amphibians, Web Ecol., 17, 19-27, https://doi.org/10.5194/we-17-19-2017, 2017. Artificial wetlands are becoming critical habitats as natural wetlands continue to be degraded and destroyed. I surveyed quarry wetlands to assess how they provide habitat for frogs and the factors driving patterns. Quarry wetlands consistently harboured more species and healthier individuals than reference wetlands. We need to encourage wildlife utilisation of quarry wetlands, and the methods outlined here provide a powerful, yet simple, tool to assess the overall health of artificial wetlands.